This diamond hails from South Dakota where her musical abilities were showcased from a very young age. “My parents aren’t musical themselves, but were always very supportive of my choices,” she said when I inquired about their thoughts on her graduating early and moving to Nashville to pursue her dreams. From the age of ten, Hailey has spent her time performing, writing and perfecting her craft. 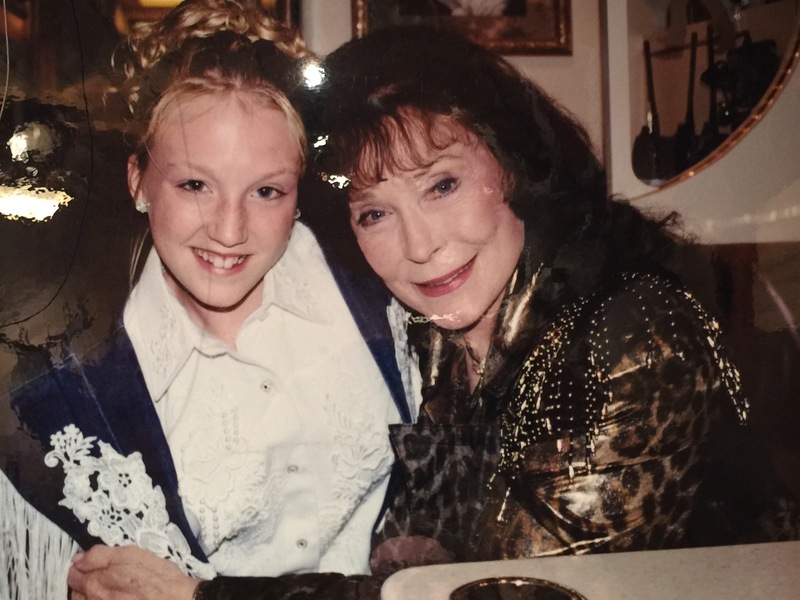 At that same age, she opened for Loretta Lynn at a casino in South Dakota where she met an unexpected role model who became a substantial part of her life. “I distinctly remember when I befriended Dennis Alley. He was a Native American Chief from Omaha and as a little girl I was definitely intimidated at first to approach him – I mean he was at least 6’5 with his head dress on and everything. But I just walked over and sat down next to him in my denim and lace Western outfit with my hair in a messy bun and said ‘hi.’ He looked down at me and asked if I wanted to go onto Loretta’s bus and meet her and before I knew it I was sitting on Loretta’s lap with her arms wrapped around me like I was her grandchild. Things like that always happened with Dennis. “Did you keep in touch?” I asked. Fast forward 17 years from when Hailey met Dennis and her passion and uniqueness are still exuding in everything she says. “My move to Nashville, eight or nine years ago at this point, did not meet my expectations at all. You hear those stories you know, about people coming to town for a year or so and then becoming the next Carrie Underwood and I guess that’s what I expected. I was kind of a big fish back in South Dakota and I was nineteen when I moved to Nashville thinking everyone would care. I just needed time to develop – like everyone does when their nineteen and feel like they know everything,” she laughed. Hailey has done some amazing things throughout the course of her career; from opening for Loretta Lynn to taking part in the Voice as a part of the duo, The LiNE. Experiencing the kind of things that most people think only happen in the ABC television show, Nashville, Hailey is still constantly striving for more. She says her self-titled EP released almost exactly a year ago, is her proudest piece of work yet. “I’ve written probably 600-700 songs so there’s really no rhyme or reason with my writing process. As a songwriter here in Nashville, I write on command all the time, but I never like to falsify things. People can sense if something isn’t authentic. I write about my truth. We bonded over Southern ideals and social pressures and before we knew it, it’d been an hour already! As a final question for the songwriter featured here, I wanted to know what song she wished she wrote.